Our goal is to make the vehicle repair process a convenient and positive experience. Learn more about why we are the Chippewa Valley's premier auto body shop for collision repairs and about our vehicle repair philosophy here. From now on, you'll trust a body shop because you can, not because you have to! You will find all of the information you need to make the best decision possible for your auto body needs. Located in the center of Eau Claire, our history, dedicated staff, and dedication to our customers makes Superior Auto Body the best choice for the Chippewa Valley. 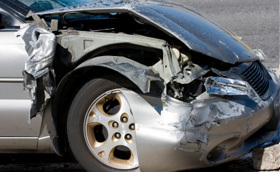 We understand the stress involved after a collision and will make the repair process as smooth as possible. 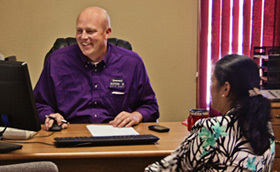 Use our simple online form to schedule an appointment for your vehicle estimate. Find out how Superior Auto Body can make your problem disappear! We offer the highest quality services to fit your needs. Learn more about our simple three-step process that effectively provides you with the best experience possible. It's always a good day when your Grandpup comes to visit ??? ?